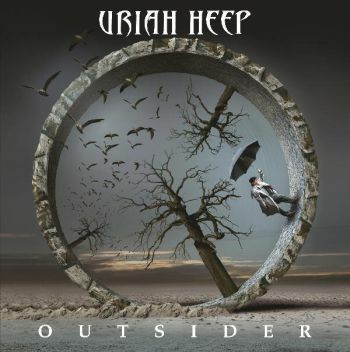 URIAH HEEP - OUTSIDER (DIGI) | Online Shop | Wizard LTD.
“Outsider” is Uriah Heep’s 24th studio album which follows the success of “Into the Wild” and extensive worldwide touring. Uriah Heep started the recordings in January 2014 at Liscombe Park Studios in Buckinghamshire England. The album includes 11 brand new songs, including some epic additions to the band’s huge catalogue of rock classics. Uriah Heep debuted in 1970 with the release of one of Hard Rock music’s milestones “Very 'eavy... Very 'umble” and have since sold in excess of 30 millions albums worldwide. They constantly tour in the world, playing in over 53 countries and the band’s live set list features hits from the 70s and 80s, such as “The Wizard”, “Free ‘n Easy”, “Sunrise” and their monster hits “Easy Livin’”, “July Morning” and “Lady in Black”, as well as new material.